We loooooooooooove Halloween. It's creepy and fun. 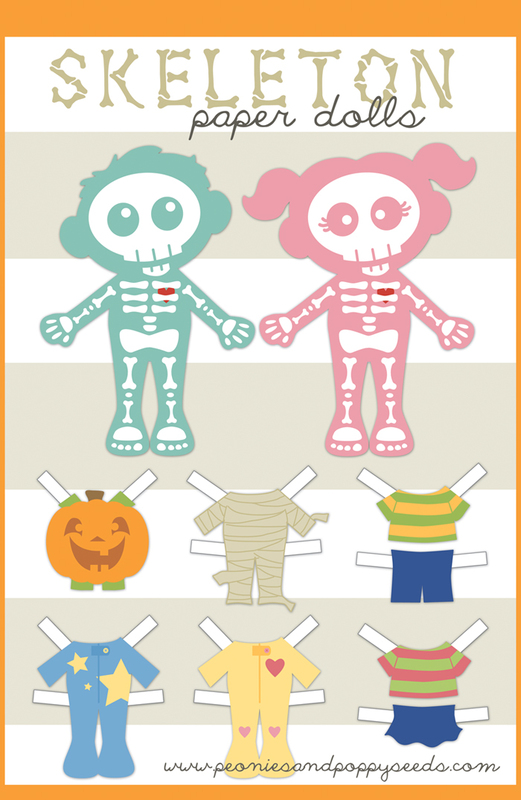 I made these boy and girl skeleton paper dolls for my kids to play with this week, because skeletons are also creepy and fun (and these ones are sort of cute, too). Just remember that all of our stuff is for personal use only, no redistribution allowed. And if you love us make sure to share that love on facebook, pinterest, or, you know, where ever. Thanks!